Students can ride in little capsules to the apex of the Gateway Arch to view the city and riverfront. Underneath the Arch is the free Museum of Westward Expansion, where exhibits tell the story of settlers, explorers and Native Americans. Nearby, the Old Courthouse was the site of the 1862 Dred Scott slavery trial and abounds with exhibits on early St. Louis. 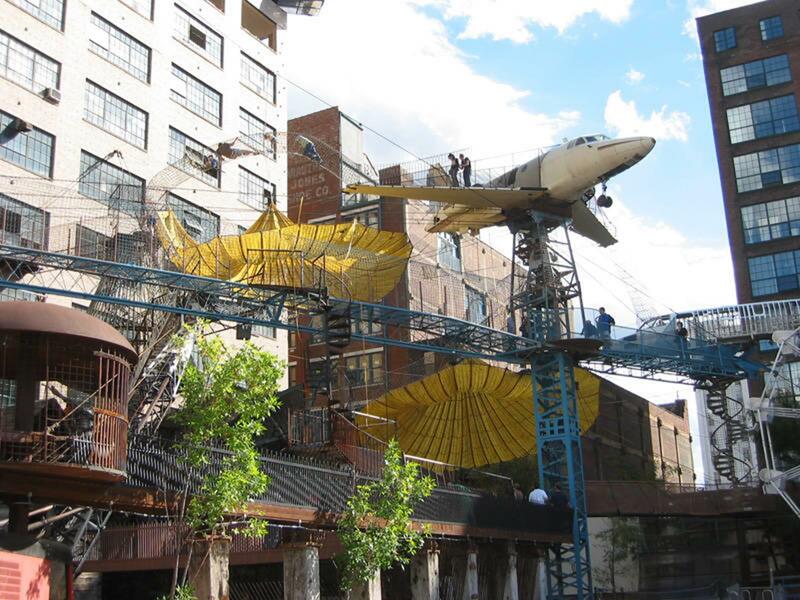 The City Museum is the brainchild of sculptor and perpetual entrepreneur Bob Cassilly. This fully interactive museum occupies 600,000 square feet of what once was the International Shoe Company warehouse and is constructed entirely from found objects originally from the city. Students can climb, crawl and swing through MonstroCity, an immense monkey-bar based obstacle course constructed from two Sabre 40 airplane fuselages, a castle turret, a fire engine and a seemingly endless maze of four-foot-wide wrought iron slinkies. When visiting the Daniel Boone Home & Boonesfield Village in nearby Defiance, Mo., student groups have the chance to see history come alive through reenactments of life on the American frontier. Visitors to the Boone home are often surprised by the 200-year-old home, which is large even by today’s housing standards, and the scope of the village behind it. Tours feature a professional Daniel Boone impersonator. Challenger Learning Center-St. Louis provides space education programs and exhibits for visitors of all ages. Permanent exhibits include space simulators, an orbiting space station and a Mission Control center modeled after NASA’s Johnson Space Center. St. Louis’ EarthWays Center, a division of the Missouri Botanical Garden, was created to illustrate the positive impact of eco-conscious living through practical application. The EarthWays Home, a century-old Victorian urban residence that has been renovated to be self-sustaining, the center showcases practical demonstrations of energy-efficient systems, recycled products and green home building practices. St. Louis is also home to one of the largest urban parks in the United States. At 1,371 acres, Forest Park is approximately 500 acres larger than Central Park in New York City. The park itself boasts an impressive history as it welcomed more than 19 million visitors to the 1904 Louisiana Purchase Exposition World’s Fair. 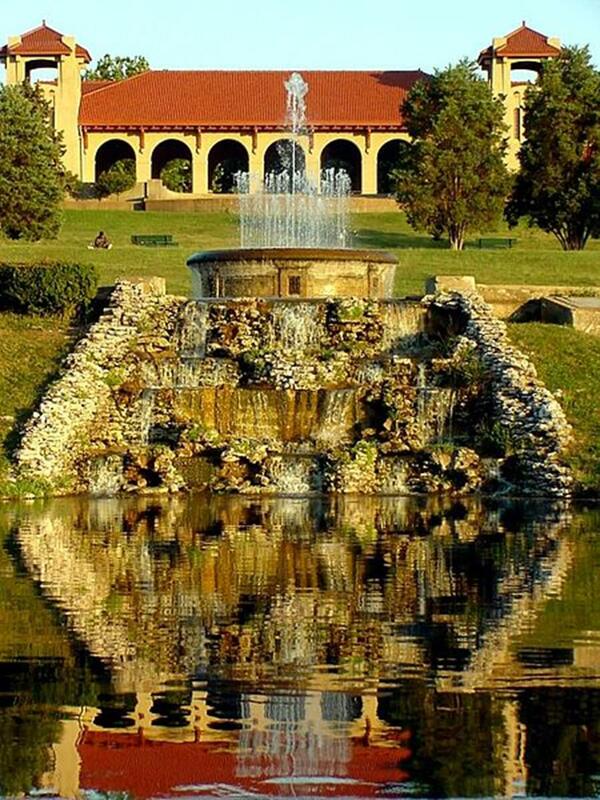 Today the park contains the St. Louis Art Museum, St. Louis Science Center, St. Louis Zoo, Jewel Box greenhouse, Missouri History Museum and The Muny theater. Forest Park also features a 7.5-mile jogging and biking path, a skating rink and several small lakes. An hour west of the city, student groups can enjoy thrill and water rides at Six Flags St. Louis theme park in Eureka, Mo. Tour St. Louis! offers student groups both Half Day and Grand Tours with the option of two or four stops at various locations around the city. Groups can choose from a visit to the Arch, Old Cathedral, Old Courthouse, Missouri Botanical Garden, Laclede’s Landing and other sights. On the Grand Tour, a lunch stop at Union Station is followed by more sightseeing at the New Cathedral Mosaics, Millionaire’s Row, the Central West End and such Forest Park attractions as the St. Louis Art Museum, St. Louis Zoo, St. Louis Science Center and Missouri History Museum. The Boeing Company offers tours of its facility that include the James S. McDonnell Prologue Room, which illustrates the history of more than eight decades of aviation progress, from bi-planes to Boeing’s contributions to space travel. Student groups have the chance to see one of the country’s most successful baseball franchises on a tour of Busch Stadium. Group tours include visits to a party room, the RedBird Club and the Cardinals’ dugout. Students will enjoy an indoor pool with a stay at the Courtyard Marriott St. Louis Downtown. 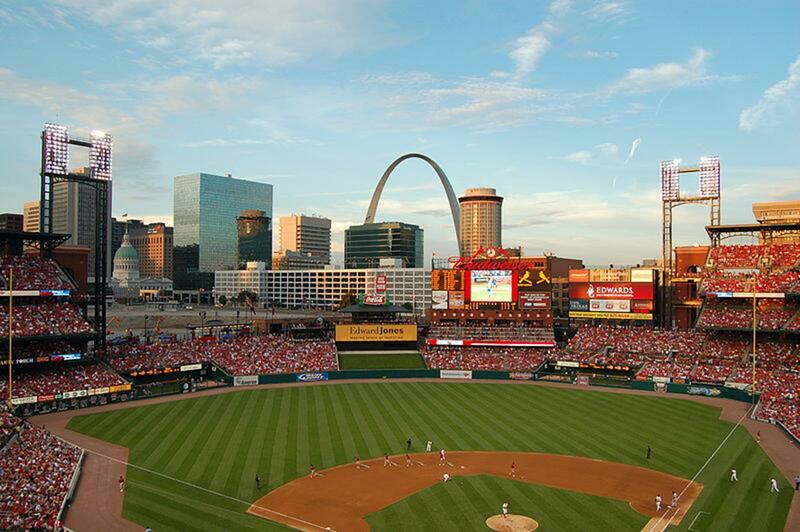 The hotel is conveniently located within walking distance of many downtown attractions, including the Gateway Arch. Drury Inn also is near the Arch. Holiday Inn Select Downtown Convention Center. For lower rates, try one of the many chain hotels in the suburbs. America’s Incredible Pizza Company, with two locations, offers an all-you-can-eat buffet featuring fresh pizza, pasta, soup, salad and desserts. Enjoy your meal in one of four themed dining rooms: the Gymnasium, 50’s Diner, Family Room and the Starlite Drive-In complete with old movies showing. Then hop into some fun at The Fairgrounds, where you’ll find indoor Go-Karts, Bumper Cars, Glow-In-The-Dark Mini Golf, Mini Bowling and a huge game room where you can redeem tickets for prizes. For pasta dishes at a reasonable price, a good choice is Old Spaghetti Factory, with locations near the downtown riverfront and in Chesterfield. St. Louis Union Station, a cavernous shopping/dining/entertainment spot in what once was one of America’s busiest train stations, has several student-friendly restaurants, including the Hard Rock Cafe, a rock ’n’ roll dining experience with burgers and other American favorites. Student groups can strut their stuff right on the downtown riverfront, where popular choices for young performers include the Gateway Arch Riverfront Stage and the Rotunda in the Old Courthouse. St. Louis Union Station, a festival marketplace housed in an historic train depot, can accommodate a group as large as 300. Suburban malls open to performance groups include Westfield Chesterfield Mall, Westfield Crestwood Plaza, Westfield Mid Rivers Mall and Saint Louis Galleria. Grant’s Farm, a tourist attraction operated by Anheuser-Busch, features open-air performance locations in addition to a petting zoo and the famed Clydesdale stable. Other sites for performers include Missouri Botanical Garden, Museum of Transportation, City Museum, Laumeier Sculpture Park, Thornhill Historic Site in Faust Park and Six Flags St. Louis. Groups can rent space in theaters and concert halls like Edison Theater at Washington University, Florissant Civic Center Theatre and Sheldon Concert Hall & Ballroom. Venues also are available at St. Louis Community College, Maryville University and Webster University. Downtown parades include the St. Patrick’s Day and Christmas parades. The Historic Soulard Neighborhood features Mardi Gras parades and other events in January and February, plus the Soulard Bastille Days Festival in July. There’s free music every July during downtown’s Fair St. Louis/Live on the Levee Concert Series. For Halloween fun, check out Fright Fest on October weekends at Six Flags St. Louis. The Art Deco-style Tivoli Theater and other venues present the St. Louis International Film Festival every November. Over 10 days, it showcases more than 200 films and shorts from internationally acclaimed filmmakers, alongside local and regional talent. Student groups will discover many educational and fun options to fill their days in St. Louis. Its history as a gateway to the West and wealth of free or low-cost attractions make it a solid tour choice in the Midwest.